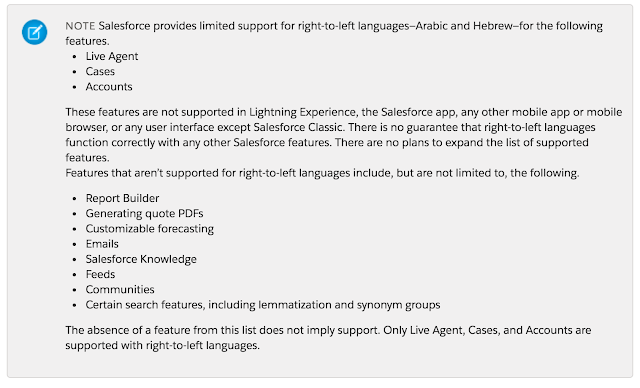 Salesforce classic supports RTL(Right To Left) quite well, but in LEX(Lightning Experience), it's not supported yet. Following screenshot from Salesforce help article clearly indicates the same. Thanksgiving is a good time of year, with a sense of thankfulness, getting together and celebrations. 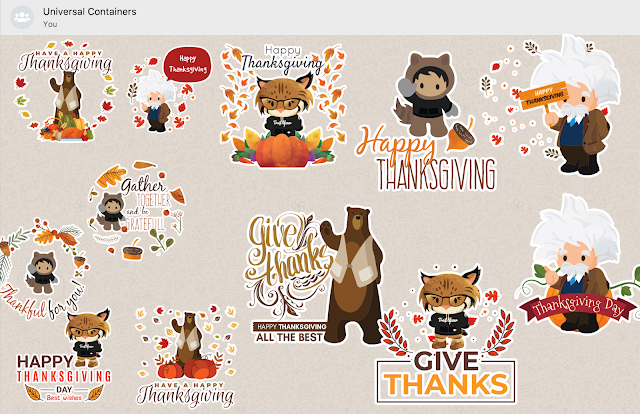 Thanksgiving for me is an expression of gratitude, not only on the personal side but on professional as well (I started in Salesforce a decade back, in Q4 2008 only). Salesforce did wonders and transformed careers of so many of us, every now and when its quite easy to run into a success story of someone not only very technical but from diverse backgrounds, education and work history. There is always a sense of giving back and help each other, and vibe around the same is quite strong as well. Again, there are many heartwarming stories of people inspiring, helping and making so many others successful. To express gratitude and celebrate this warmth, and giving back. Team Concretio decided to come up with WhatsApp and iMessage stickers based on popular Salesforce characters like Astro, Codey, Einstein, and Appy. 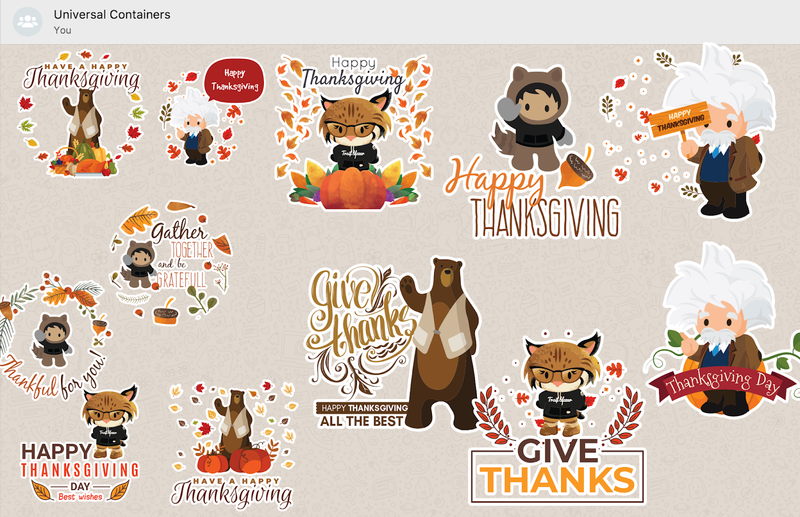 We felt it will be a great expression of gratitude for all Salesforce Ohana around the world to express the same using special Thanksgiving stickers based on these Salesforce chars.